Deck Building Permits: Do You Need One? One of the most common questions we receive from customers is whether or not their deck addition requires a permit. The quick answer is: it depends. In the state of Georgia, deck permit requirements vary per county and per city. Roofing contractor ABM Services & Renovations shares an overview of deck permits. Outdoor decks can be classified as an extension or as a home addition depending on factors such as size or purpose. In addition, deck building permits vary per state, per county or even per city. There are certain characteristics that mean the new deck will definitely require a permit. For example, a deck that’s constructed more than 30 inches above grade will definitely require a permit. 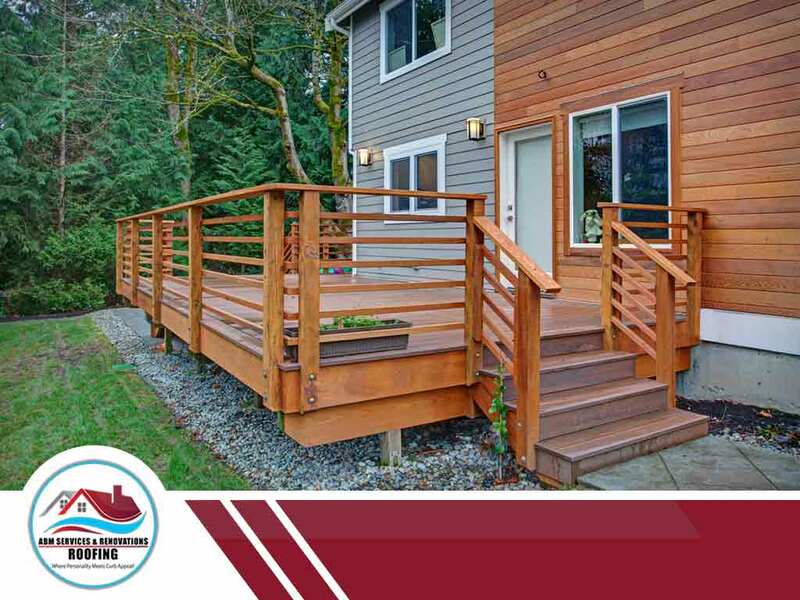 According to the International Residential Code, decks below 30 inches in height can be exempt from permits if they don’t exceed 200 square feet in area, are not attached to the house, and are not serving a required exit door. Large-scale projects such as roofing installation require permits because they have to meet the standards set forth by international and local building codes. Imagine if people were allowed to build anything without building codes. You’d have houses that have bad structural support, no fire exits, or—in the case of outdoor decks—unsafe areas to walk across. If your remodeling project is built without a permit, you may be forced to tear it down and have it corrected (with a permit and an approved plan, this time) at your own cost. The building codes are there to help make sure every house is safe, durable and structurally sound. How Do You Know If Your Deck Will Require a Permit? One key advantage of hiring an experienced local contractor is that they will know whether or not your deck—or any other remodeling project, for that matter—will require a permit. In the state of Georgia, the rules may be different depending on where you live. For example, the Atlanta Municipal Code is very specific about construction and repairs needing permits, while Augusta requires permits if the cost of the project materials is over $500. At ABM Services & Renovations, we are well-versed with the requirements in the areas that we serve. When you work with us for your deck installation, building permits are the last thing you’ll need to worry about. ABM Services & Renovations is your leading provider of deck installation services, as well as residential and commercial roof installation services. Give us a call at (770) 282-3700 or fill out our contact form. We serve clients in Locust Grove and Sandy Springs, GA.